Bright packaging on the gift - a positive start to any holiday! How much joy and tenderness bring gifts to people! Their colorfulness, originality and diversity cause delight not only in children, but also in adults. They help express their attitude towards a person, demonstrate their own style and prolong the sweet aftertaste of any holiday. Originality of the chosen or made by youThe gift itself is unconditional, and you are sure that it is ideal for the addressee, then there is still another small task to be solved: how worthy to present this beauty? How not to spoil the first impression and "Wring out"All positive emotions from the person to whom it is intended? The answer is obvious - only with the help of stylish and non-standard packaging. 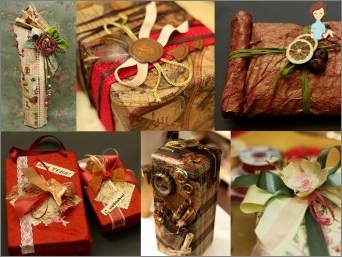 Since it is beautiful to pack a gift, so that the appearance corresponds to the content and responds to the temperament of the person who will receive it? To begin with, you need to clearly define who the thing is for: a friend, a friend, a relative, a boss or an employee, and so on. It is not necessary, for example, to choose too variegated andBright coloring, if the present is intended for an unfamiliar person or boss. And vice versa, if a holiday is with a close friend, then experiments are always welcome. For unfamiliar individuals, employees or business partners, we choose a low-key design, muted colors, minimalism in design, that is, we keep a course for elegance. So, with unofficial etiquette figured out, let's move on to the main thing - how to properly pack a gift. If the task is to design a box, then,Strange as it may seem, you will not overclock very much. There are not so many options for this case. Often the essence of all the methods is repeated, and the differences are only the direction of folding the paper in the area of ​​the ends of the box. So to make your plans will be easy. Of course, for the first time it may not work out quiteExactly, but to master the technique and bring it to automatism can be done with practice pretty quickly. But still, if you are strongly concerned about the threat of spoiling a very liked wrapper, then you can practice on regular A4 sheets. And if necessary, increase the area by simply gluing several sheets together. So, let's begin. Take, for example, boxes with small household appliances as most often given to people (kettles, hairdryers, mixers and stuff). Wraps we need less than 1m? (70/100). We put the material in the middle of the box and wrap it. At the same time, we see if there is enough grip on the width, and in terms of height, we check whether there is a fold on 2/3 of the front side. To fix glue a piece of tape in the middleOne edge of the paper in the center and glue it to the box. At the same time, the other edge is bent a few centimeters for an aesthetic appearance, since it will lie on top, and also attach it with an adhesive tape over the already attached edge. We proceed to the design of the ends. The most convenient is the variant of the envelope: we lower the upper part, level the sides and also lay them down to the middle. Next, lift the resulting triangle below. We fix the triangular last part to the rest on the scotch tape. Here everything seems to be simple, but sometimes it is extremely necessary to decorate non-standard boxes. As Pack a gift in paper, If it, for example, is round? In a round box quite often put sweets or biscuits, cakes, massive sets and even tea. Let's see what can be done in this case. 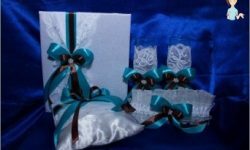 For a round gift, it is better to take a thin material that can easily take the desired shape. Ideal is the use of a color film like the one wrapped in flowers. To start with a square piece of film, in the middleWhich is our round object, bend one side, laying it on top of the box. Hold the result with your hand and bend in a circle gently all in the folds up the box. It should turn out a kind of candy. We connect beauty with a ribbon, a bow or that there to that to liking. The more original the inside, the more interesting it is to present it. 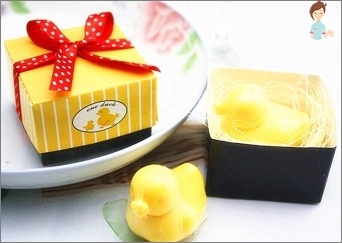 Therefore, we will also consider some options for decorating gifts without boxes. Very often we have to give bottles: On jubilees, professional holidays or just dropping by for a while on a visit. You can decorate a glass bottle in different ways: placing it in a wool sock, painting with colors, pasting with multicolored sparkles - fantasy in this matter is sometimes limitless. But recently the double design of bottles is very popular. 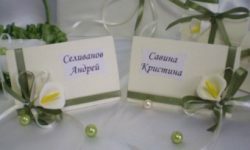 It is great, for example, if you want to congratulate a married couple on the anniversary of the wedding. For such a decor we take an elastic and sufficientSoft, square-shaped wrapping paper. Its width should be no less than the height of 2 bottles. We put the material in a kut to ourselves and place bottles on the bottoms to each other. At the same time, the necks look at the kuts. We cover the angle from ourselves and the container and without displacing it, carefully twist the scarf along with the contents. Next, we put the bottles on the bottom, and we decorate the top with a bow or we connect it with a lace. To make such design it is possible and by means of various fabrics. 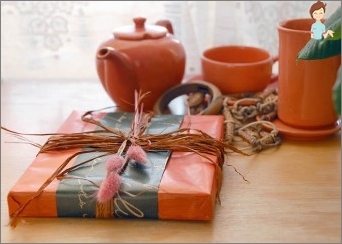 It is always more pleasant to pack a gift with your own hands. From this, he becomes more akin and soulful. Here are a few more ways to make the design original and memorable. Wrap up a little thing in "Candy". Corrugated paper is suitable for this. Everything is simple enough. 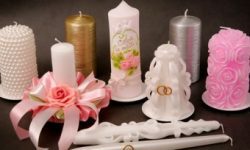 It is necessary to place an object in the center of a soft bright film of a square or rectangular shape, wrap it (it will be something like a cone), and bind the side edges with ribbons or bows. The main thing here is brightness, sweetie all the same! If the object is of a very small size, it can be placed in an envelope created by yourself. There are a lot of methods for packaging, but the choice of the design material itself is no less great. Very fashionable and beautiful is papyrusPaper (silence). It has a fine structure, is gentle and beautiful externally. Make a quiet of sulphate pulp, bleached piece-wise. The same cellulose is obtained from the wood of coniferous trees of a separate species. Another interesting material is kraft. It was created specifically for the festive decoration of things. Kraft is slightly ribbed and has an embossing across. Usually implemented rolls of five meters. Glossy sheet paper of various colors is the most common variant of decoration of souvenirs and boxes. It is strong enough and practical to use. Polysilk is similar in structure to a film. But still it is slightly stretched, which helps a lot when wrapping items of non-standard sizes and shapes. Mulberry - an interesting handmade paper by birthFrom Thailand. It is presented on the market in a vast range of colors, ornaments and drawings. Now Mulberry is rapidly gaining popularity among designers and florists. About corrugated paper, probably everyone knows. Rough texture, different color scale, practicality in use and a relatively small price made it one of the leaders behind the frequency of acquisition. How to present with a zest to present toHoliday, what materials for this you can choose, you already know. It remains only to connect the imagination and enjoy the process of creating an original packaging design.